If a booking is cancelled 2 days before the date of arrival, no fee will be charged. If cancelled anytime later the cost of the first night stay will be charged. in case of no show, the total price of the reservation will be charged. No deposit will be charged for bookings under £100.00, for any bookings over that amount we might require a 30% deposit unless otherwise agreed with us. Kindly call us or email us as soon as you make the booking if it is over £100.00. Booked a standard room? All our standard rooms are in our Annexe building, we would appreciate if you can call us on the below numbers and confirm the check in time so we can guide you to our reception in the annexe. These Terms and Conditions shall apply to the use of the facilities and services provided by Russell Scott Hostels / Backpackers, by its customers and guests. 3.2 Rates and prices quoted when making reservations apply only to accommodation unless otherwise stated. Additional charges may apply for items including, but not limited to, breakfast, and wireless internet access. Customers will be informed of the prices payable for such additional items on arrival at the Hostel. 3.7 Should any guest or group be found to have non-paying persons staying in their room(s), the guest or group shall be charged for the extra persons and the on-going booking may be, at the Duty Manager's discretion, terminated with no refund of monies paid. Should a guest or group become unruly in any manner resulting in complaints or, at the Duty Manager's discretion, disturbing other guests, the Hostel retains the right to terminate the agreement resulting in eviction with no refund of monies paid. 3.8.1 Credit and Debit Cards - Visa, MasterCard, Maestro , JCB; (Please be advised that there is a 3.5% card processing fee if you pay by card which is charged by our card payment processing company unless otherwise specified). 4.1 Subject to sub-Clause 4.2 below, reservations may be cancelled without charge provided the Customer gives at least 24 Hours notice of the same prior to the check-in time for their reservation. Subject to the provisions of sub-Clause 3.6 above, any sums paid in advance to the Hostel shall be refunded to the Customer. 4.3 Failure to provide the required notice of cancellation shall result in the Customer being charged the total amount of their reservation. Any such payment shall be taken immediately using the payment details provided by the Customer when making their reservation. 5.2 Check-out time at the Hostel is 11am. Later check-out times may be possible by prior arrangement (and at the Hostel's discretion), however in the absence of such prior arrangement, failure to check-out by 11am may result in the Customer being charged for an additional night's accommodation at the standard applicable Rate. 6.2 Customers are requested to conduct themselves appropriately at all times and to comply with Company procedures and/or requests with regard to conduct and respect for the property of the Hotel, its employees and guests and their health and safety. Customers are requested not to disrupt the comfort and enjoyment of other guests, the smooth running of the Hotel, or cause offence to other guests or our members of staff. We reserve the right to refuse accommodation or services or remove you and members of your party from the Hotel if, in our reasonable opinion, we consider this provision to have been breached. Where this is the case shall have no obligation to refund you for lost accommodation, other services or any other loss or expense incurred. 6.6 No animals are allowed in the Hostel. 7.2 Customers are not permitted to have food or any alcoholic drink in their room. All food and drink are allowed only in the common area of the hostel. 7.3 Customers will be informed of breakfast times on arrival. 7.4 Illegal substances of any kind will not be tolerated and will result in the eviction, and possible prosecution, of the offending party. 7.5 No loud music is allowed in the hostel premises. 8.1 To the fullest extent permissible by law, the Hostel's liability for any loss or damage suffered by Customers shall be limited to that which arises out of the negligence of the Hostel's employees, subcontractors or agents. 8.2 Notwithstanding sub-Clause 9.1 above, the Hostel shall not be liable for any indirect loss or damage which may be suffered by a Customer including, but not limited to, loss of income, loss of business, loss of profits, loss of opportunity, loss of anticipated savings, loss of data or loss of enjoyment. 8.3.3 any other matter for which it would be illegal for the Hostel to limit or exclude its liability. 9.1 The Customer's rights as a consumer under consumer protection legislation from time to time in force shall not be affected by these Terms and Conditions. 9.2 The Hostel may, from time to time, change these Terms and Conditions without notice, however it will use its reasonable endeavours to inform Customers as soon as is reasonably possible of any such changes. 13.1 These Terms and Conditions (including any non-contractual matters and obligations arising there from or associated therewith) shall be governed by, and construed in accordance with, the laws of England and Wales. 13.2 Any dispute, controversy, proceedings or claim between the Parties relating to these Terms and Conditions (including any non-contractual matters and obligations arising there from or associated therewith) shall fall within the jurisdiction of the courts of England and Wales. Russell Scott Backpackers is a trading name of R3 and son Ltd reg in England and Wales company Number 07994876. VAT number 248 7879 38. 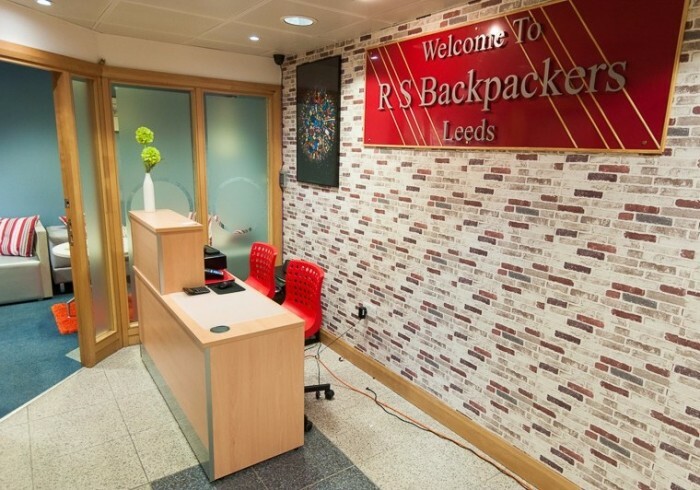 Looking for a friendly youth hostel in Leeds? If you’re looking for great travel accommodation on a budget, Russell Scott Backpackers is the place for you – our hostel in Leeds is in the heart of the City Center, all equipped with fantastic facilities and managed by our helpful and friendly staff.While traditionally known as a youth hostel, we welcome travelers of all ages from all over the world – all that matters to us is that we make your visit to Leeds as happy as possible! Small but perfectly formed, our rooms and dormitories offer a safe and secure place for you to stay while you explore all the wonderful things these beautiful cities have to offer.Unlike many other hostels, we provide breakfast included in our very competitive rates, plus bed linen, a washing machine and reliable internet access so you can keep in touch with friends and family back home.Whether you’re backpacking your way around the world, travelling to see friends or just fancy a break somewhere new, we understand that you need to get the most from your money, so we ensure you get just that – and with no compromise on quality or comfort. No hidden extras, just honest, transparent fees and service with a smile!